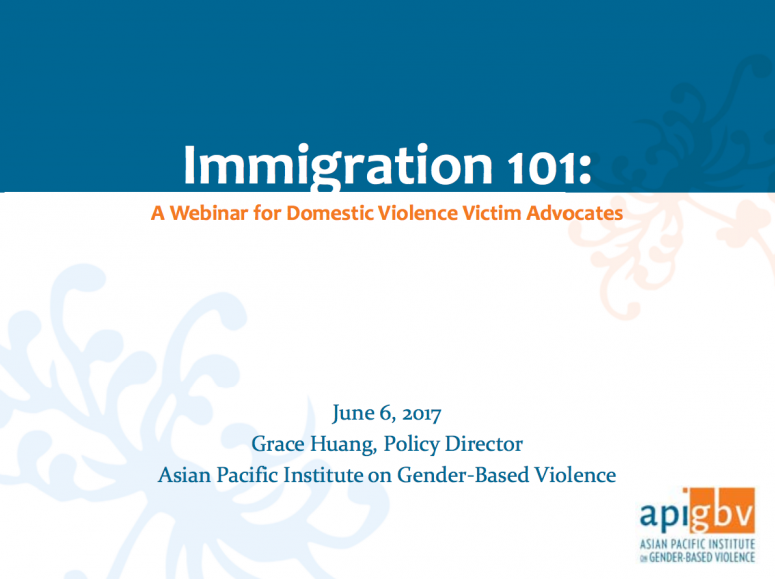 This webinar is a primer on immigration laws and regulations for advocates serving Asian survivors of domestic violence and sexual assault. It provides a basic introduction to U.S. immigration law and the paths to citizenship, the remedies available to immigrant domestic violence or sexual assault survivors–particularly VAWA protections, battered spouse waivers, and U-Visas–and the rights that all immigrants have, and should know when encountering an ICE officer. To address the domestic violence dynamics and trends in API communities, advocates have designed programs based on an intimate knowledge of their communities and the needs of API survivors. 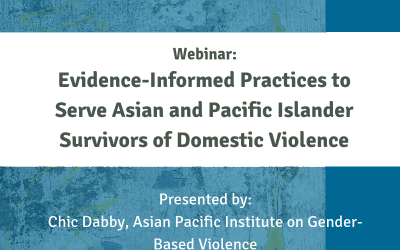 This webinar identifies the differing dynamics and current domestic violence trends API immigrant and refugee survivors are facing. It will describe the A-Z Advocacy Model’s inventory of evidence-informed practices and the foundational principles that anchor this unique model.